European tour packages are an excellent way to visit another country and explore the culture. Read about European travel company reviews, travel tips and more. Tauck European Tours provider a personal experience, through personal service, extensively planned itineraries, and diverse destinations. Grand European Travel (GET) offers over 250 tour packages through some of the top vacation brands like Luxury Gold, Lion World, Insight Vacations, Trafalgar and CostSaver. GET is best for those looking for the most customizable options. Prices vary but you can expect to pay around $975 for eight days in Italy or $6,925 for an 11-day, first class Iceland trip. Expat Explore has grown to over 15,000 travelers a year with 31 tour leaders in 35 countries and over 50 unique tour itineraries. Prices for multi-country tours range from $925 for seven days visiting England, Scotland, Wales and the United Kingdom, to $3,280 for 26 days exploring fourteen European countries. Speciality packages available - honeymoon, family etc. Globus employs 5,000 travel professionals while serving over 500,000 passengers a year. 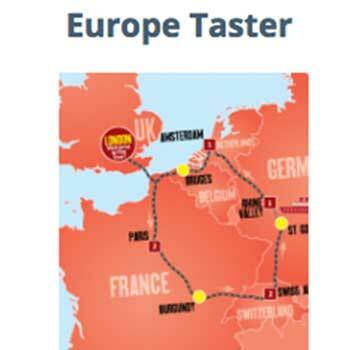 Globus multi-country European tours start at $999 for seven days and go up to $4,949 for 21 days. We evaluated 15 European tour companies and found three top choices based on amenities, cost, customer service, destinations, itineraries, and customizable experience. We considered ratings from the customers who went on European tours and from travel experts. The companies that ranked highest are Expat Explore, Globus and Grand European Travel. This guide provides an overview of European touring, including what’s important to look for in a tour package, some of the average costs and amenities, and how these three top companies operate and what makes them stand out above the rest. Finally, we provided answers to some of the most frequently asked questions about choosing a European tour company. European tour packages are an excellent way to visit another country and explore the culture. Some tours cover multiple countries in one trip while others focus on specific areas to give you more time to immerse yourself in the experience thoroughly. Knowledgeable local guides are with you every step of the way to make sure you get the best experience possible and don’t miss a single site. Set your budget before you select a tour and know the exchange rate in the country or countries you’ll be visiting. Find out what your tour price includes, so you know what to expect for transfer fees, excursion fees or gratuities. Offseason tours are often deeply discounted, allowing you to do and see more for less money. Select a tour that allows you to visit the places of your dreams and the time to explore them. Avoid booking a tour that is so fast-paced that your vacation goes by in a blur. Go over each prospective tour’s travel itinerary to be sure the structure of the tour offers you a comfortable level of activity. A reputable tour company will provide information about required legal documents to travel freely in Europe. However, you still need to do your homework since there is more to traveling internationally than just having a valid passport. Make sure you have these things covered before you embark on your trip. Banking Call your bank and credit card companies. Let them know which countries you’ll be visiting and ask about fees and exchange rates. Ask if there is an emergency number that is not toll-free that you can call collect if you run into a problem. Local Currency Many first time travelers in Europe are surprised to find that some places don’t take credit cards. Your bank can order euros for you before you leave and if you find yourself short, the widely-available ATMs throughout Europe will usually give you a reasonable exchange rate. Keep in mind that your bank and the foreign bank may charge fees like currency conversion fees. Some credit cards specifically for international travel can be used in foreign ATMs with no exchange fee. Insurance Find out what, if anything, your medical and homeowners or renters insurance covers when you’re overseas. According to the U.S. Department of State – Bureau of Consular Affairs, even if your health policy covers you outside of the U.S. borders, many foreign medical providers and hospitals don’t accept U.S. insurance plans and require cash payments up front. A supplemental international policy can save you thousands in the event of a medical issue. Some travel companies require that you have a valid travel insurance policy for your trip to cover any emergencies. Phone Without international calling, your U.S. mobile phone won’t work in Europe. Contact your provider to find out what options they offer that suit your needs. You most likely can buy a SIM that works in Europe for your phone, which avoids roaming fees. Lists Make a list of any valuable items you are taking on your trip with the brand, model and serial number. Take photos as well so you will have the information should something be stolen and you need documentation for the police or your insurance company. Restrictions Check to see if there are any customs or import restrictions associated with your destination(s). Customs restrictions aren’t just for souvenirs as some countries restrict things like over the counter or prescription medications. Traveling to Europe during the offseason or cooler months is the best way to save money on things like airfare and tour packages. Most tourist attractions throughout Europe are open year-round with the exception of slightly earlier closing times for some locations. Traveling during the offseason helps you beat the crowds as well. Popular spots along your tour will seem more custom-made for just your tour group and extra excursions might be cheaper or heavily discounted if companies aren’t seeing a lot of business. Some tour companies don’t offer any luggage storage and if you’re not at your hotel, you’ll be carrying your bags. Packing key pieces of clothing that can be mixed and matched or layered will give you plenty to wear without overloading your bag. Comfortable shoes are a must if you plan on doing any sightseeing or walking tours. Laundromats are readily available throughout Europe if you need to wash anything during your trip. Discounts in Europe may be called concession or pensioners rates. Deals on European tours come and go quickly. To take advantage of one of these deals, be prepared to pack swiftly and then get on a plane as early as the next day. Ask about family or group discounts, winter or offseason discounts, returning customer discounts and senior discounts while you are making your European tour plans. These discounts are often available but not widely advertised. One of our picks for best European tour company, Expat Explore, frequently offers last minute deals. We began our search with 15 well-known and lesser-known European tour companies. These companies offer tours and vacation packages across multiple European countries. Packages include customization options, varying travel types (bus, train etc) and different food and housing options. We analyzed European tour companies based on reviews from respected travel sites and writers. We narrowed our list by using companies that had 4 of 5 stars in online customer reviews. We found and removed companies with overwhelming amounts of negative reviews. Our final list of European tour companies should help you get started with planning your European vacation. 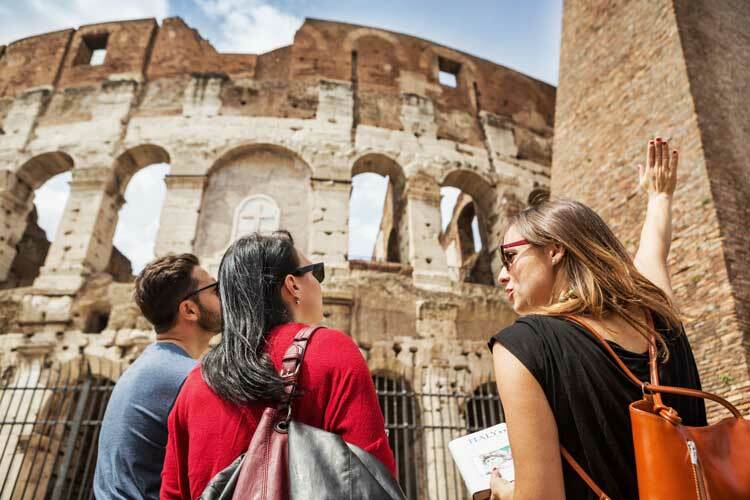 With nearly 1,000 members of the European Tour Operators Association (ETOA), there is a tremendous selection of tour companies from which to choose. We narrowed the field of choices for you. Our in-depth analysis includes each company’s industry reputation, the variety of offerings and other criteria. We researched the best 15 European tour companies and then we selected our top three picks based on specific criteria we set by extensive research of travel and consumer information. The result was a list of three of the top European tour companies. After our evaluation, we chose the best European tour companies. Each of these companies stood out above and beyond the competition. 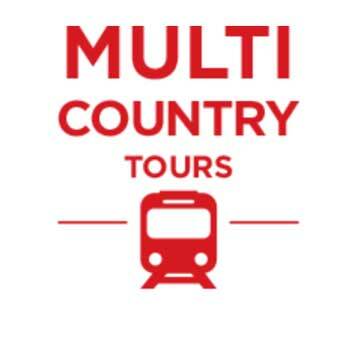 276 European tours filtered on the website by country, duration, departure date, price, travel style, travel type and pace. Expat Explore coach tours cover over 40 countries with tours ranging from seven to 26 days. Travel Weekly Magazine 2017 Readers Choice winner for Best Tour Operator for Europe. For over 40 years, Grand European Travel has been making European vacation dreams come true. The company offers over 300 tour packages through some of the top vacation brands, like Uniworld Boutique River Cruises, Luxury Gold, Lion World, Insight Vacations, Trafalgar and CostSaver. Narrowing down your tour of choice on their website is a breeze. The site has many options to select to drill down to the ideal European tour for you, like days out, pace, cost and much more. Prices per person range from $975 for eight days in Italy or 12 days in Turkey, to $6,925 for 11 days in Iceland with first-class amenities. If visiting European Christmas markets is your dream, Grand European Travel has 15 tours that fit the bill. The Christmas markets of Austria, Germany & Switzerland gives you nine days of magical Christmas memories for $1,457 per person. Seven themed trips start at $2,784 per person. You can do things like spend 14 days in the Scottish Highlands on the “Highland Trail inspired by Outlander” tour or explore the World War I and World War II Battlefields over 13 days. Grand European Travel gets high marks from customers. The company has earned the prestigious Gold Trusted Service Award twice from global consumer review site Feefo with four and five-star ratings across the board. Travelers use words like “wonderful,” “excellent” and “outstanding” and specifically mention the extremely knowledgeable guides. A couple of negative reviews mentioned you have to pay for a lot of add-ons after your initial payment for the trip package itself. They felt like more should have been included for the price. Expat Explore started in 2005, sharing Europe with 200 people. The company has grown to over 15,000 travelers a year with 31 tour leaders in 35 countries and over 50 unique tour itineraries. Their extensive tour offerings cover Western, Eastern, Southern and Northern Europe. Multi-country tour packages visit anywhere from five to 15 countries and last from seven to 26 days. Prices for multi-country tours range from $910 for seven days visiting England, Scotland, Wales, United Kingdom, to $3,280 for 26 days exploring fourteen European countries. Bargain hunters should shop Expat Explore’s last minute deals for significant savings. All Expat tours come with quality accomodation including twin-share, two-, three- and four-star hotels with in-suite facilities. Tour buses are equiped with reclining seats, on-board toilet, air conditioning and entertainment systems. Customers speak highly of Expat Explore in online reviews, describing the tour leaders as “professional, fun and extremely knowledgeable.” Some travelers say their Expat Explore European tour is “the best thing I have done.” A recent survey through Power Reviews found that 91 percent of Expat’s customers would recommend them to a friend or family member. We did not consider complaints about the weather against the company since weather is out of anyone’s control. Founder Antonio Mantegazza bought a rowboat to transport visitors across Lake Lugano, Switzerland in 1928. Ninety years later, this European tour company is still family owned with multiple brands, Globus, Cosmos, Monograms and Avalon Waterway, operated by a network of over 30 offices around the world. Globus employs 5,000 travel professionals while serving over 500,000 passengers a year. The company’s extensive list of awards and positive testimonials makes it the clear winner in the Best Service category. Customers give Globus high marks for outstanding tour guides and exciting itineraries with much to see. Customers also praised the extras that Globus is known for, like more visits, experiences, and sightseeing mixed with the perfect amount of free time to explore. Complaints talk about tours feeling rushed with little time to enjoy each destination. Another complaint we read was about travel insurnace purchased through Globus not covering the cost of trip due to delayed and cancelled flights. Tourists can explore Europe in luxury with Tauck River Cruises and European tours. Tauck offers more than 150 tour options across Europe, including European land tours and European river cruises. The Tauck staff strives to provide fun, memorable trips, and excursions include educational elements and unique shopping opportunities. Tour costs for Tauck start at $3,000 per person for standard tour options. 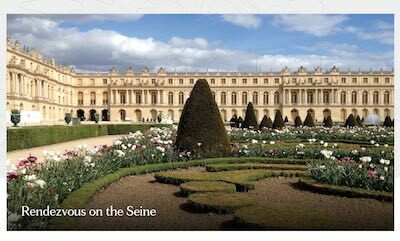 To learn more about Tauck European tours and their many available options, read our full review or visit them online to book your next vacation. Is airfare included in the cost of European tours? The vast majority of European tours do not include the cost of airfare. You will be required to make your travel arrangements to get to the meeting destination on the first day of your tour. Most European tours do include meals. Be sure to check itineraries for any tours you are considering to find out how many meals per day included in the cost, and if there are any unique offerings at specific locales. 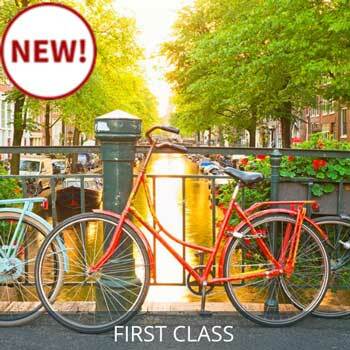 What is special about a luxury European tour? Luxury tours provide higher rated hotel accommodations, Michelin chefs and VIP adventures that allow you to visit sites and meet people not offered in regular tour packages. Should I select a large group tour or a smaller group? You may save a few dollars by going with a larger group but what you save may end up costing you in the experience. Generally speaking, the smaller the group you travel with (25 to 30 people), the more charming spots you can visit without being cramped or rushed. What does trip pace mean? Leisurely: You’ll stay in each destination three or more nights and will have ample free time to explore. Comfortable: Your days will include numerous stops, but you’ll spend two to three nights in each destination. Active: An active pace is frequently referred to as one night stands because you’ll rarely be in one place for more than 24 hours. Make sure that you know what the price includes upfront and choose a group that will make a trip fit your lifestyle. Guided tours are a fantastic way to explore Europe and meet new friends. European tour companies offer a variety of tour types for almost every kind of preference. A little research can go a long way in finding a tour that fits your budget while fulfilling your expectations.